I enjoy getting the occasional professional spa pedicure, but when it's time to get my feet pedi-ready, I have a couple of products that I use at home to accomplish that. I do keep my toes polished all year long, but I'll be the first to admit that my feet don't receive the pampering that they should during the winter months. It seems that they are held hostage by cold, dry air and confined to warm socks and boots for far too long. So a couple of weeks before sandal season approaches, I use three products daily to transform my neglected feet and toes so that they're ready to bare themselves to the world! Below: The first weapon in my line of defense is the Swedish Clover Foot File. This is by far the most well-made and sturdy foot file I've ever owned. This 2-sided file has a 60/100 grit and shows no sign of wear over the years. The overall shape works better for me than others I've tried, and it can be used wet or dry. I use mine in the shower daily during my "pedi-ready" process, and use it once or twice a week during the rest of the year. I can't rave about this foot file enough--quality construction and baby soft feet. I picked mine up at Sally Beauty where they are available for $8.00. Below: My second step is to apply some type of natural moisturizer to the driest areas of my feet, primarily the heels, and the sides and cuticles of my toes. 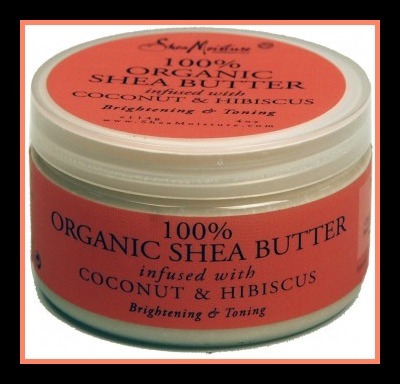 In the past I've used coconut oil or jojoba oil, but I've been using Shea Moisture 100% Organic Shea Butter this year. I wouldn't say that it works any better than my previous products for this type of treatment, but with its Coconut & Hibiscus scent, it smells divine! The scent reminds me of summer and long, lazy days at the beach. 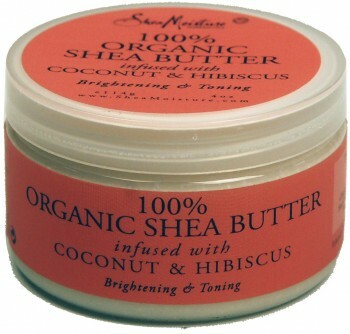 This products does a fantastic job in repairing dry skin and making it look and feel soft and smooth. I'm pretty lazy when it comes to pushing back the cuticles on my toes, and this product seems to all but alleviate them and keep them controlled without having to work at it. I picked this product up at Target where it retails for $9.99 for a 4 oz. tub. 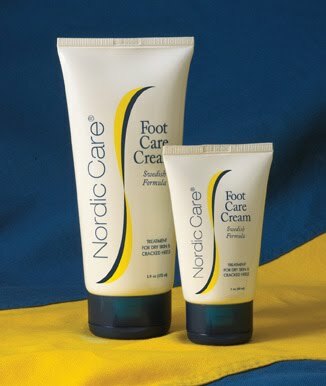 Below: My final step in my foot prep is Nordic Care Foot Care Cream. If I could only pick one product to get my feet pedi-ready, it would be this one. I can apply this to my feet before bedtime and wake up with soft smooth feet every time. The only thing I dislike about it, is that it contains Eucalyptus Oil, so it has a somewhat medicinal scent. This works wonders on dry heals and on the area on the outside of my big toe, which can get a little callused. It also works well as a cuticle treatment on my hands. I had a small sample tube that sold me on it, and I've since ordered probably more back-ups than I'll ever use from Victoria Nail Supply, where it retails for $7.95 for a 5.9 oz. tube. Now if the weather would just warm up, my feet are almost ready to get back into flip-flops! Do you have any products you like to use to get your feet pedi-ready? I did a post last week about the Denco Easy Foot Smoother. I absolutely LOVE it. Nothing has worked for me better than it has. I even moved my Ped Egg over to the BF's shelf in the bathroom so he can keep it. I like Lemony Flutter for my heels, Nfu Oh cuticle remover for the nails and a very good buffer for the big toe nails.. they are always wrinkly and bumpy! I do wanna visit a pedicure within the next month I think :). Wow that shea moisture sounds amazing. Can't beat the price too! I too have the same problem with my feet! The foot file and ped egg are my best friends lol I've been using the Yes to Carrots super rich body butter on my feet and really all over and its super moisturizing! I haven't polishes my toes for years. I don't know why I don't think about polishing them. I always use a creme on my feet. If not my feet get very dry. Sometimes they will peel a bit. 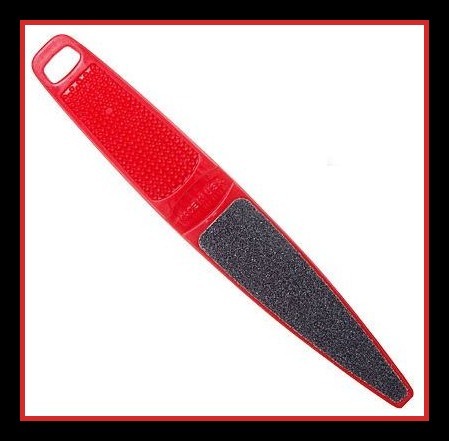 I have a foot file from Avon that's so old but still holds up. It's great for smoothing out your heels. I've got to creme my feet every day. I don't want them to ever crack. 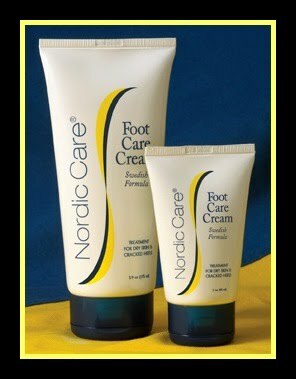 I LOVE the Swedish Foot Fil. I used to think it was something super special and paid $15 each for them - I still have my original that have had honestly for 10 yrs - they just don't give out. I would buy them for gifts from this little tiny salon that had a few items for sale. When we finally got Sally's into my area and I saw the same foot file there for $5 I think they are I about died I had been spending $15 for them! So glad you also found this fab food file. I went through so many throw away ones for years before finding this one...honestly, at least 1 a month it seemed I would go right through - I worked on my feet and wore flats with knee highs most of the time on really hard floors. I think I had rough feet even as a kid from going barefoot all the time. This file and Barielle Total Foot Care and I am in heaven with baby feet now at 50!